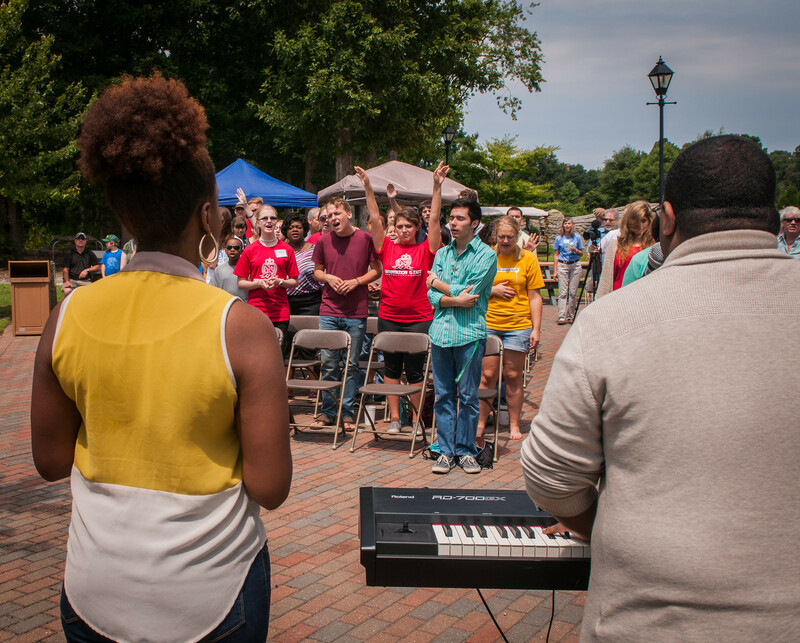 As the semester is coming to a close, with Unchapel on hiatus, and all of the final exam, paper, and project due dates coming in fast, let us take a moment to think about all that Campus Ministries does for Regent University. There is a common misconception that Regent’s Campus Ministries and the student body are two separate elements on campus. However, that couldn’t be further from the truth. Campus Ministries consists almost solely of students workers who work behind-the-scenes. Ben Misantone, Sheridan Nelson, and Brandon Blevins are just a few of these awesome people who not only work for CM as employees, and serve as LifeGroup Leaders and Residence Assistants, but they also put in countless hours backstage along with many other fellow students. Chances are that you know someone that works with CM in some way or another! Go on up to the office and pay them a visit, located in Robertson Hall, room 406. It is a calming space, tucked away in a corner where students can sit and study, where they’re most likely playing worship music. The student workers are more than friendly, and will welcome any visitors with a smile! Campus Ministries doesn’t just put together University Chapel and UnChapel, they plan and help facilitate Vespers, Lauds, LifeGroup, Good Friday, and Ascribe. Most days of the week there is at least one CM event happening on campus. Campus Ministries puts together a team of apprentices who work under the student workers. Each apprentice has a specific task that they work on throughout the school year such as putting together events like Ascribe, Lauds, Vespers, Good Fridays, all things behind the scenes for University Chapel and UnChapel, working with AV Media, the Discipleship team, administrative work, and serving on prayer teams. The apprentices have weekly meetings where they go over a lesson taught by Jason Peaks, director of Campus Ministries. There are many factors that go into putting together a successful University Chapel or UnChapel service. When you walk into the chapel on a Thursday night and the food looks delicious, with the lighting just right, and the worship team transitions smoothly – you probably don’t take time think about how that all came together. What most people don’t know is that from 6:45pm until almost everyone has left the chapel around, a team of CM Apprentices are getting all of those factors ready. They do things such as getting mics ready, taking count, and setting up the green room for the speaker, amongst other things. Nicole Thurber is a contributor to the Daily Runner. ← Is that You Santa Claus?